Belle piscine et plage l'espace. Propriété est grande et a peu d'effort pour obtenir de votre villa à la plage (dans les quelques petites collines/escaliers). Pludge piscine est vraiment amusant d'avoir et vous propose de la vie privée. Salle de bain dans ma chambre n'était pas climatisée, mais vous donne la possibilité de regarder les étoiles pendant la douche. Be charmed away by the beauty of the local lifestyle of Koh Samui islanders. Anantara Lawana Resort & Spa captures the laid back elegance of life by the sea. Melt away your body and mind while absorbing the history of this tropical island. 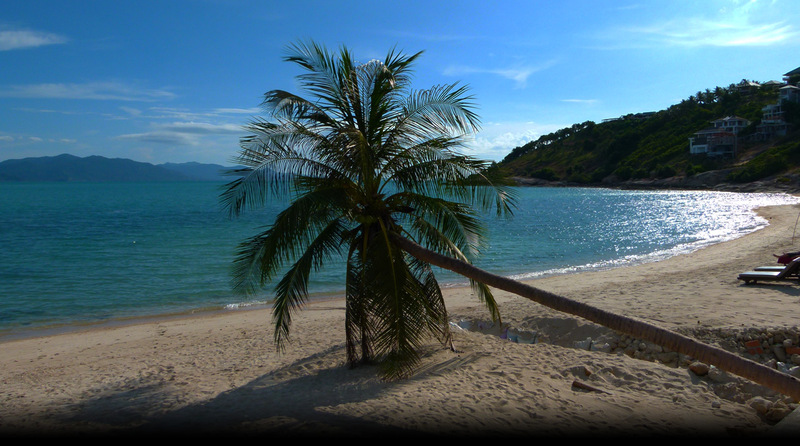 Come visit Samui, the small island where the sun always shine on the stunning clear water. Explore the roots of original Chinese immigrants who generations ago became Samui locals. Many hand techniques are used to create the architectural details of this resort to ensure its original style of handicraft. Be inspired by the simple life in the mist of this luxury resort. Space that gracefully merges indoors and outdoors. A heritage of antique Chinese design inspiring each detail. From relaxing in the large soaking tub to taking a midnight dip in the private plunge pool, feel all your cares wash away in these luxurious rooms. Enjoy beautiful views from this Chaweng hotel over lush tropical gardens from your own private balcony. As one of the best Koh Samui five star hotels for a couples getaway, these elegant rooms feature an outdoor seating area that provides the perfect intimate spot for a romantic meal for two accompanied by beautiful island vistas. With 52 sq.m. of space finished to the highest standard of modern tropical décor, enjoy luxury facilities such as an oversized bathtub, satellite television, mini bar, individually controlled air-conditioning, tea and coffee making facilities, electronic in-room safe, IDD telephone with voicemail and work desk with power sockets and high-speed internet access. With a palatial 86 sq.m. of space, Anantara Lawana Resort & Spa Samui's Deluxe Plunge Pool Rooms offer leading comfort and are ideal for those in search of privacy. As well as Anantara's luxurious yet simple approach to décor, you’ll find your own outdoor plunge pool and a 16 sq.m. seating area at each of these stylishly designed luxury villas in Samui. Lounge in the sun amid tropical flora and fauna before taking a dip to cool off and retiring to the calm air-conditioned sanctuary indoors. From the Anantara range of villas in Samui the Deluxe Plunge Pool Room comes with a semi outdoor bathroom, satellite television, mini bar, individually controlled air-conditioning, tea and coffee making facilities, electronic in-room safe, IDD telephone with voicemail and work desk with power sockets and high-speed internet access. Part of a cluster unfolding around a shared pool or standing alone, each villa promises delicious privacy in a setting of pure tropical luxury. With access to a pool as part of each villa and views of the beautiful gardens or sea, discover the island holiday of your dreams brought to life in Anantara style. Slip from your private deck directly into the cool waters of the pool for a few long laps. These villa clusters - perfect for groups of family or friends - were inspired by the nostalgic lifestyle of a laid-back Thai riverside village, with between four and seven villas sharing an exclusive pool of their own. Your spacious private villa includes a sundeck, complete with its own sala and garden and a large, partially open-air bathroom with a sensuous rain shower and outdoor sunken bathtub. Each Villa has 20.25 sq.m. bedroom, bathroom (19.90 sq.m), private sundeck (28 sq.m. ), private outdoor Sala (14.40 sq.m.) and private garden (33.10 sq.m.). Bathroom is semi-outdoor with rain shower and an open-air bathtub. One extra bed is optional. Live out your tropical island fantasy in this expansive 160 sq.m. villa with its own private pool. Within the villa itself, the stylish living room creates an atmosphere of elegant relaxation. The spacious bathroom features an indoor shower and outdoor rain shower, as well as bathtub - one open-air and the other sunken by the pool. Enjoy partial sea views in complete privacy and peace of mind in this luxurious villa. All Villas have partial sea-view. Each bedroom (17.10 sq.m. ), sitting area (18 sq.m. ),bathroom (23.40 sq.m. ), private outdoor Sala (23.85 sq.m), private sundeck (29.60 sq.m. ), private pool (21.80 sq.m.) and private garden (15.24 sq.m.). Revel in breathtaking views of the glittering bay from almost every angle in your luxurious villa, from lounging on the canopy bed to relaxing in the open-air bathtub. Later, slip into the private pool or relax on your personal sundeck and garden sala. Feel like you own the island in this magnificent villa, which combines the best of island beauty with a luxury of space and fine detail. Situated directly on the beach, this two-bedroom, two-bathroom, almost 300 sq.m. villa with a private pool encompasses stunning views of the beach and the sea from almost every point of view. Spend each moment in undisturbed bliss when you lounge on the private sundeck and sala. Buffet breakfast between 6:30 am. and 10:30 am., all day dining begins at 10:30 am. until 12:00 am. or until the last guest leaves. The last order at 10:30 P.M. It has 305 sq.m. indoor dining and 123 sq.m. outdoor dining space, which is connected to an outdoor deck of 1,138 sq.m. International and Thai cuisine are served here with full selection of drinks and very extensive wine list. The breakfast buffet offers a wide selection of Asian and Western cuisine. At lunch and dinner there is especially designed international a la carte menu with international dishes available. In addition we offer Thai set menu, Samui set menu, Mediterranean set menu, Thai-Asian set menu and Chinese set menu. In the evening, dinner setting is possible on the beach. Our a la carte menu is based upon availability of the freshest products. However, should there be anything that is not on the menu that you may prefer, our chef will try his utmost to provide you with a dish or ingredients that you desire. Our luxuriously outlet has 240.20 sq.m. dining area which is divided into seven separated private Salas. Fine dining is serves from 7:00 pm. to the last order at 10:30 P.M. The charming and romantic restaurant serves the most fantastic and inventive Western delightful set menus of the Chefs favorite recipes. This restaurant will be the talk of the island with its unique food presentation. Soak in the sun and watch the tide roll in as you sip on an icy cold fruit smoothie or fresh cocktail. During the day, snack on crisp salads, light dishes and an array of refreshing drinks by the side of the pool. In the evening, sink into plush beanbag cushions and watch the sun go down as you as you bask in the laid back tropical island vibe. Enjoy some of the best cuisine on the island without ever leaving your room. Our extensive in villa dining menu and impeccable service are the perfect ending to a long day of playing in the surf and exploring the island or to lazy day of resting by your private pool. Whatever the occasion, we have exactly what you want, how you want it, delivered directly to your door. Create your dream evening with that special someone when you choose to do Dining. This special program allows you to dine in blissful privacy anywhere on the resort with a menu custom designed in discussion with your personal chef for the evening. The perfect way to celebrate a special occasion or just celebrate each other - Dining by Design takes you on a culinary journey unlike any other. It has nine en-suite treatment rooms with eleven beds. Open from 8.00 A.M. to 10.00 P.M. Our La Malila Spa goes beyond just friendly pampering and provides truly relaxing and revitalizing experiences as well healing treatments.
. . . Leave the busy world behind . . . and join us at La Malila for a perfect healing and hideaway . . . Welcome drink and hand flower garland upon arrival. Complimentary usage of internet within the resort. Complimentary usage of non-motorized water sport and fitness centre. Complimentary daily refreshed tropical fruits in the room. A contemporary Sino-Thai style resort. Located at North of Chaweng Beach, Koh Samui, Thailand. Set amongst a beautiful and luxurious tropical beach, 6 kilometers from Samui International Airport, 20 kilometers from downtown Nathon and its Ferry Pier.